This cemetery is the second oldest Catholic burying ground in Houston (See St. Vincent Cemetery). 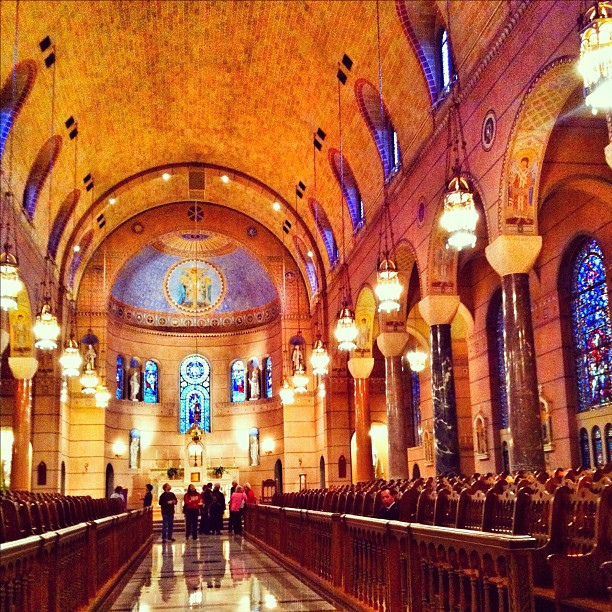 It was created by the Church of the Annunciation pastor Father Thomas Hennessey. 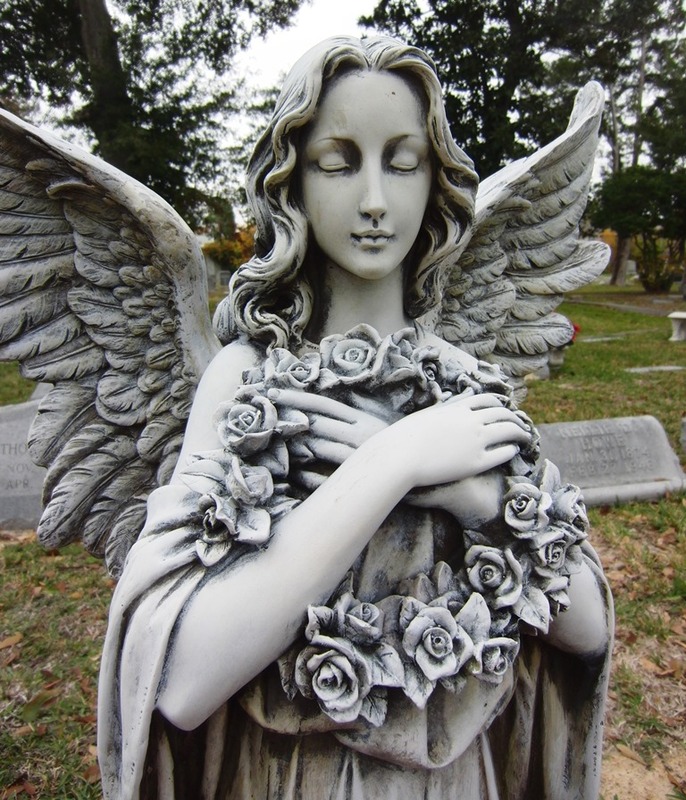 The Catholic Cemeteries of the Galveston-Houston Diocese maintain the property along with five other graveyards in this area. This Office is a ministry of the Catholic Church. Their mission is to maintain and develop cemeteries as sacred places for burying the deceased, praying for both the dead and living and comforting the mourners. Avenues in Holy Cross are named after Catholic places of worship that were prominent in the late 1890s and early 1900s. Like its next door neighbor, Hollywood Cemetery, Holy Cross represents the diversity of the area it serves. Many immigrants are buried here including persons from Mexico, Czechoslovakia, Italy, Poland, Ireland, Germany, Lebanon as well as Blacks. D’Asti, Bartholomew (Rev. Augustine) (1827-1866) – Franciscan Missionary – Born into a wealthy family in Piedmont, Italy, he entered the order of St. Francis to study for the priesthood. D’Asti did missionary work in his native country for 13 years. In 1856 he and four other Franciscan priests immigrated to America, arriving in New York. There they established a Franciscan house, seminary, convent and a college that we know today as St. Bonaventure University. Four years later the Bishop Jean M. Odin contacted the priests to see if some would come to Texas to open missions. D’Asti and two others answered the call. The trio arrived in Houston in May 1860. D’Asti was assigned to St. Vincent’s church. As the War Between the States began to take its toll on the Confederacy, poverty became a serious issue in Dixie. Touched by these hardships he sold all his belongings to donate to the poor. Then D’Asti began walking the streets begging from all he met. At this time he met John Kennedy (See St. Vincent – Kennedy) , owner of a trading post on Market Square (now La Carafe Bar, the oldest building in Houston) to whom he donated his collections. Kennedy distributed the money to the poor so D’Asti might remain anonymous. Unfortunately, he died from drinking water polluted by lead at the age of 39. It is said every business in Houston closed on the day of his funeral. Originally buried in St. Vincent de Paul Cemetery, he was moved to Holy Cross in 1915 where he lies in the mausoleum. Denny (nee Eldridge), Jeremiah “Jerry” Dennis (1859-1927) – Professional Baseball Player – Born in New York, little is known about his early life. 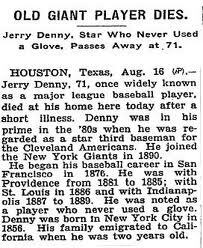 Denny’s professional baseball career began May 2, 1881 when he took the field for the Providence Grays at age 22. Denny would play for six other teams during his career. He was unusual for three reasons: he was ambidextrous (though favoring his left hand); played third base, a position normally reserved for right-handers and was the last major league player who played without a glove. Some of Denny’s career statistics include: batting average (.260), hits (1,286), runs (714), home runs (74) and stolen bases (130). He played 13 seasons with his last major league appearance for the Louisville Colonels on July 10, 1894. He died in Houston at the age of 68. In 1904 Foley had a two-story wooden mansion built in Quality Hill (the River Oaks of the time). That structure still stands in downtown near the George R. Brown Convention Center. 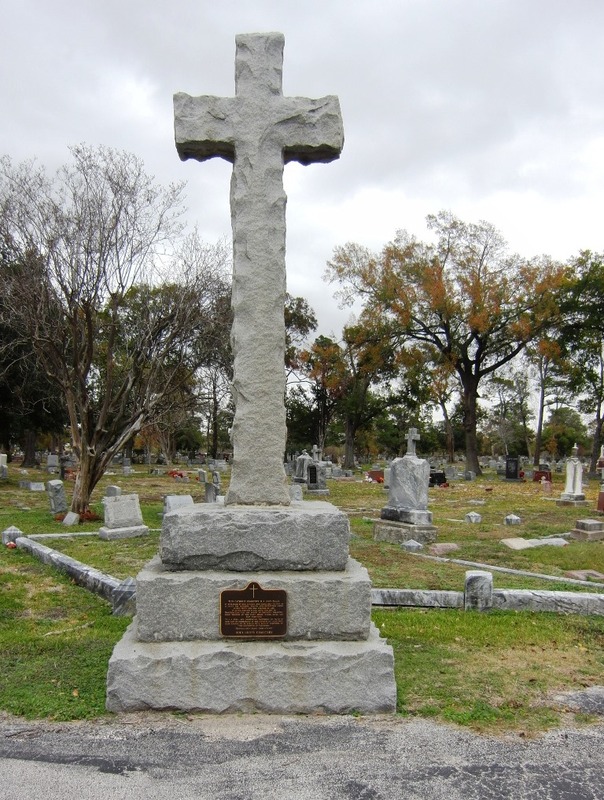 Mr. Foley died in 1925 and was called “the dean of the mercantile industry in Houston” at his funeral. In 1900 Foley’s nephews, Pat and James, arrived here from Ireland and their uncle taught them the retail business. They opened Foley Brothers Department Store in 1947 at 1100 Main Street. That business was sold to the Federated Group in 1950 but continued to operate under the Foley’s name until it was changed to Macy’s. Macy’s closed the downtown store in the spring of 2013. The W. L. Foley Dry Goods Company building was saved by a group of preservationists and is now a mix of commercial and residential space. The preservation group includes Minnette M. Boesel, Guy Hagstette, Doug Lawing, Jamie Mize and Dan Tidwell. 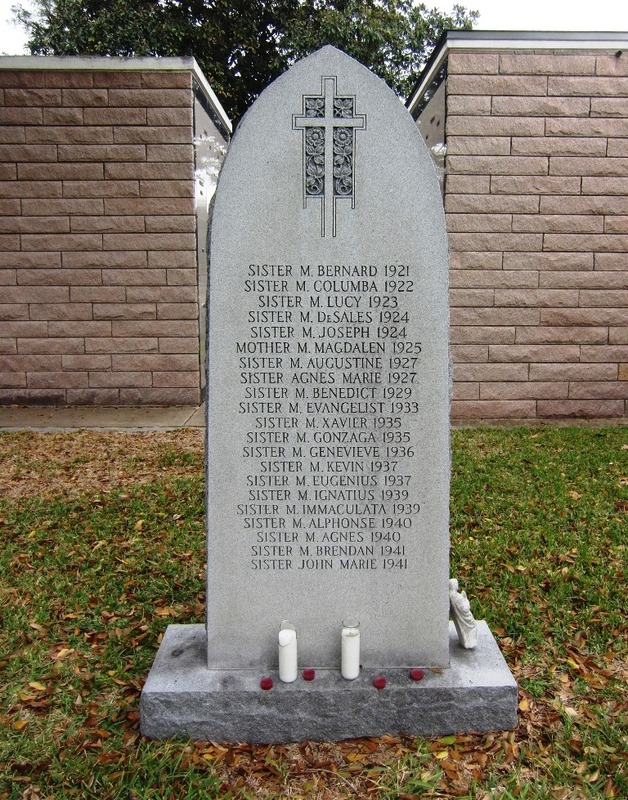 Graves of the Nuns – The Catholic Diocese set aside a plot exclusively for the burial of Sisters of the Incarnate Word. A total of 42 nuns were interred here until the gravesite was filled in 1941. 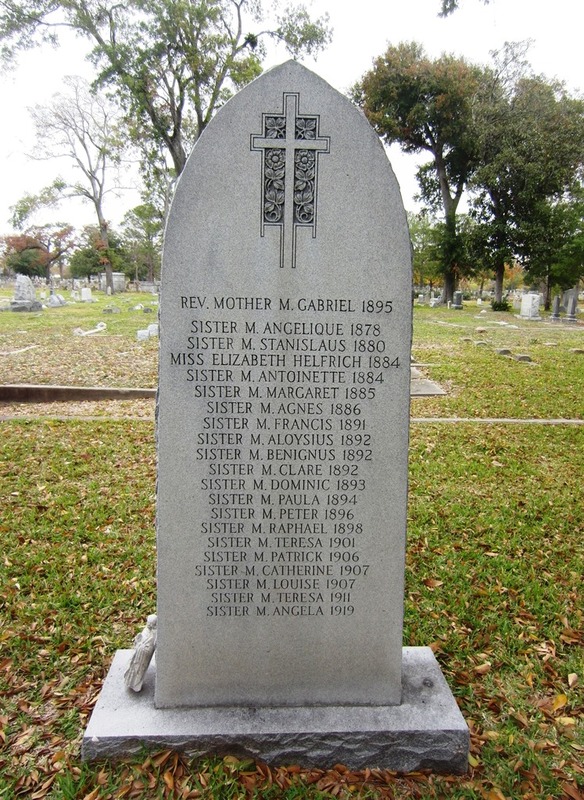 Photographs are included here of the tombstones containing the names of the Sisters and their date of death. 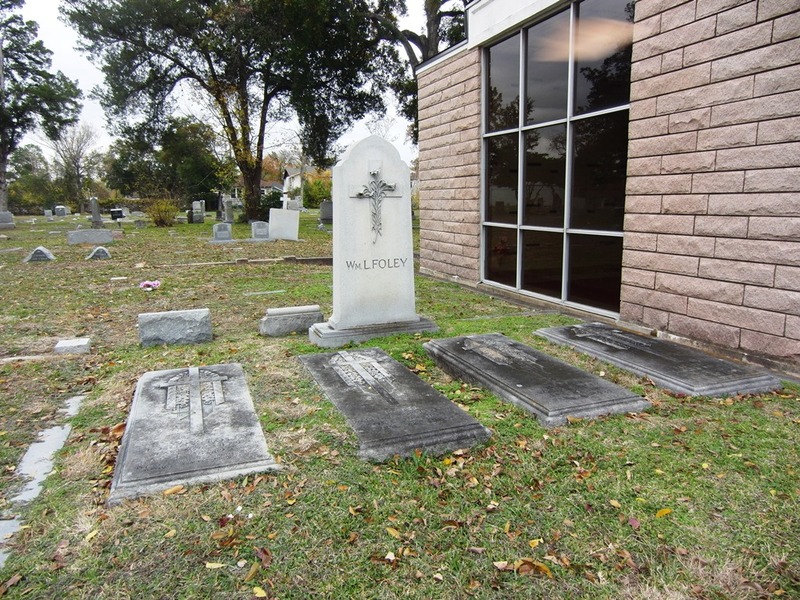 Holy Cross Mausoleum – Although usually locked and there is no grave keeper, it is worthwhile to peer in the windows. Interred here beneath the altar are Rev. Augustine Bartholomew D’Asti, Thomas Hennessy, John Ludvik Morkovsky and Wendelin J. Nold. 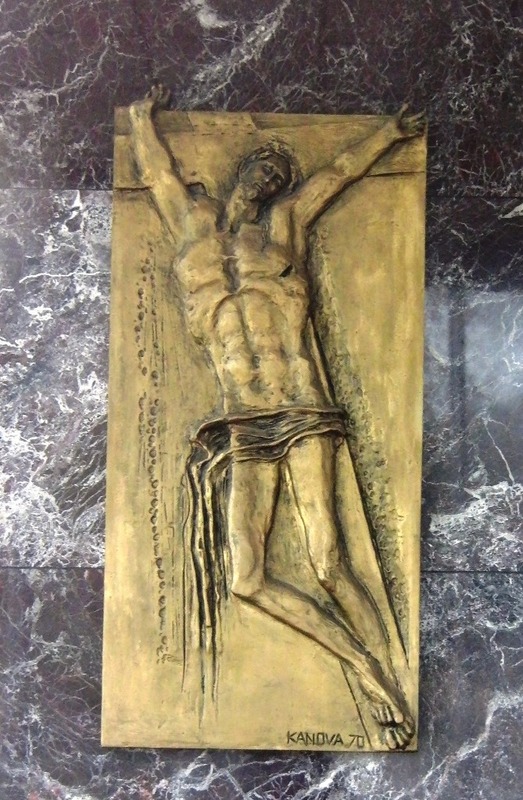 Also visible on the walls are some fine reliefs by Maria Grace Kanova, a sculptor about whom we have not been able to find any additional information. Morkovsky, John Ludvik (1909-1990) – Catholic Bishop – Morkovsky’s parents immigrated to Praha, Texas where his father became a school teacher. Young Morkovsky expressed an interest in the priesthood and attended St. John’s Seminary in San Antonio (1924-30). Continuing his studies in Rome he was ordained in 1933. He served congregations in Weimer, San Antonio and Houston, Texas. He joined the Catholic Diocese of Galveston-Houston and became the first Texas born of Czech descent to be named a bishop. In 1964 Morkovsky attended the Second Vatican Council in Rome. During his long career he established the Seaman’s Center at the Port of Houston as well as the Hospital Chaplain’s Corp in the Texas Medical Center; was a founder of the Department of Theology at St. Thomas University and instituted the Slavic Heritage Day of St. Cyril and St. Methodius in Houston (1968). Morkovsky’s remains are entombed in the cemetery mausoleum. Nold, Wendelin J. (1900-1981) – Catholic Bishop – A native Texan, Nold studied at St. Mary’s Seminary in La Porte, Texas (Class of 1921). He furthered his education by studying at the Pontifical North American College in Rome where he earned a PhD. Nold was ordained in 1925 while in Italy. Upon his return to his native state he assumed many responsibilities over the next few decades including: curate at Sacred Heart Cathedral (Dallas), first pastor of Christ the King Church (Dallas), Papal Chamberlain (1936), Domestic Prelate (1942) and Prothonotary Apostolic (1946). In 1947 Nold was appointed Coadjuntor Bishop of Galveston. Three years later he became the first native Texan to be appointed Bishop of Galveston (the fifth). In 1959 he succeeded in building Sacred Heart Co-Cathedral in Houston. Nold called for racial integration of Catholic schools in 1961. Following this long and successful career he retired in 1975. Plaque on Large Cross – Just as you enter the cemetery you will see a large cross directly in front of you. It bears a plaque which says the following: This Catholic Cemetery is a Holy Place. It is Blessed by the Church and Dedicated to God as a Place of Worship, Prayer and Reflection upon Divine Truth and the Purpose of Life. It is the Resting Place until the day of Resurrection for the bodies of Faithful Departed. Once Temples of the Holy Spirit, whose Souls are now with God. It is a final and continuing profession of Faith in God and of membership in the Church of those who have chosen to be buried with fellow Believers of “Household of the Faith.” “Eternal Rest Grant Them O Lord.” HOLY CROSS CEMETERY. Sullivan, Maurice Joseph (1884-1961) – Architect – Born in Grand Rapids, Sullivan earned his degree at the University of Michigan. He worked in Fort Worth and Waco before moving to Houston in 1912. For the next seven years he was the city of Houston architect. In 1919 he opened his own practice. Sullivan’s first major commission was to design Villa de Matel for the Sisters of Charity of the Incarnate World (1923-8). This project remains the most classic Lombard Romanesque complex in the city, especially the Conventual Chapel (without question the most spectacular sacred space in the city). Other important commissions followed including: St. Anne’s Church and School (1929-40), Holy Rosary Church (1933), St. Thomas High School (1940) and St Mary’s Seminary (1954). 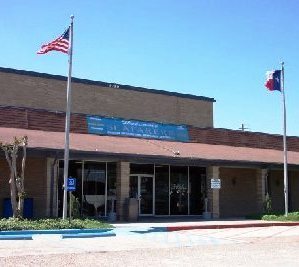 Over his career Sullivan collaborated on other projects here: Hogg Junior High (1926), Petroleum Building (1926), Davis Senior High (1926), Austin Senior High (1936) and Ripley House (1940). Ward, Thomas Francis (1856-1912) – Pianist & Composer – Ward’s body lies moldering in an unmarked grave in Holy Cross virtually forgotten for more than 100 years following his death. Not even a photograph remains. While his protégé, English composer Frederick Delius, went on to fame and fortune for his unique version of the Impressionist musical language of the early 20th century. 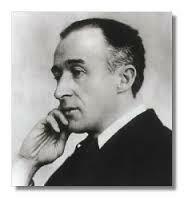 Delius credits Ward as follows: “His counterpoint lessons were the only lessons from which I ever derived any benefit. He showed me wonderful insight…in the way traditional techniques would be useful to me.” Ward and Delius had a chance meeting in Florida where Delius’ father sent him to get dreams of a musical career out of his head while Ward arrived to help cure his tuberculosis. This odd couple spent 18 months together prior to Delius returning to Europe. 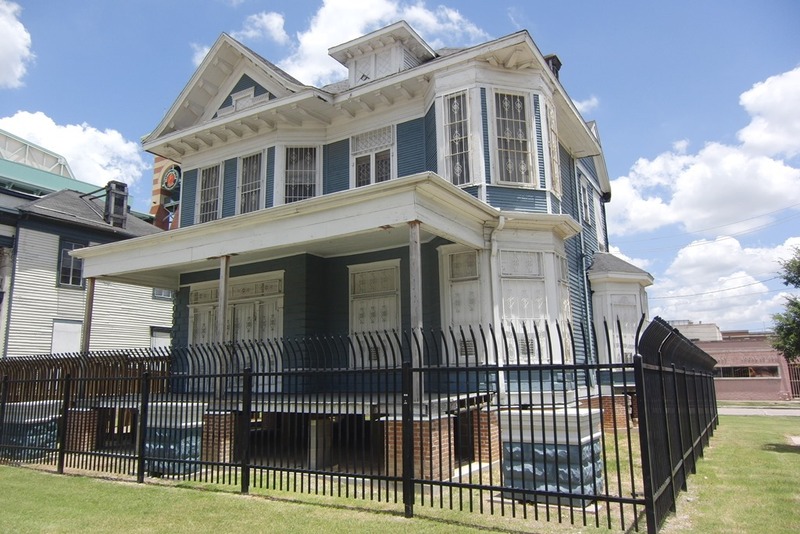 Ward moved on to New Orleans and Shreveport before arriving in Houston in 1899. He earned a pauper’s living teaching music lessons before dying of TB in a local sanitarium in 1912. Ward was buried by the local musicians union.